All the money in the world (and I believe Oprah literally has all the money in the world) won't change the fact that at the end of the day the way you live is a choice and not a purchase. In Oprah's case, she admits to stopping her exercise sessions, her meditations and going back to eating higher calorie foods. Please don't misunderstand me, I'm not knocking Oprah. Frankly I can't imagine what her life must actually be like. The hours she works, her stress levels, her responsibilities - not to mention the incredible amount of meals out that her job likely requires of her. 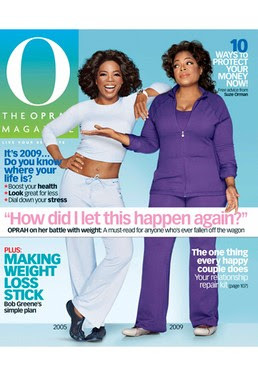 Oprah had succeeded in losing weight before because she succeeded in changing her lifestyle. That said, unless you enjoy the way you're living while you're losing, ultimately you're going to gain it back. Life's complicated and lifestyle for weight management is a treatment, not a cure. Stop treatment - regain weight. So really, you'd better pick a treatment you actually enjoy.